The final piece of Bristol Old Vic’s radical reinvention falls into place this November with the launch of its brand new interactive heritage experience. The fascinating history of Bristol Old Vic, the oldest continuously working theatre in the English-speaking world, will be brought to life in a collaboration with Bristol Archives and the University of Bristol Theatre Collection, as the theatre unveils a host of experiences and attractions, supported by the National Lottery. Over the weekend of 9—11 November, Bristol Old Vic will introduce its new interactive experiences, exhibition spaces, tours and workshops that tell the story of this iconic theatre over the last 252 years. After a launch event on the evening of 9 Nov, general public will able to access all heritage has to offer from 8am, Saturday 10 Nov every day of the week, during the theatre’s opening hours. Booking is only required for Guided Tours which will take place twice weekly. With stunning video projections, an immersive augmented reality experience and fully redesigned public areas within the theatre, it will become one of Bristol’s key visitor destinations with something for everyone. The Bristol Old Vic team has worked hard to deliver varied and interesting forms of experience to engage the public with its history. Partnering with different artists and designers to create each experience, the story of the theatre has been carefully crafted to stimulate the senses as visitors wander through the building. An extra special addition, for the opening weekend only, to celebrate the heritage launch, we’re bringing back to life some of the famous faces who’ve trodden our boards over the last 252 years. Created by the theatre’s Made in Bristol company, Limelight is a ticketed tour leading audiences around the theatre where they will encounter a host of characters from the past, telling tales of the theatre’s rich history. Limelight tours will take place every 30 minutes on Sat 10 Nov (9.30am—12.30pm) and Sun 11 Nov (9am —6pm). The transformation of the theatre into a heritage attraction is part of a ten-year £26 million programme, including £2.4m from the National Lottery, to completely overhaul and safeguard the future of this historical and cultural gem. Becoming a destination as well as a theatre, people will be able to enjoy the venue any time of day, with a new bar, café and public spaces that are perfect for having lunch with friends or dining before catching a matinee or enjoying evening performances. 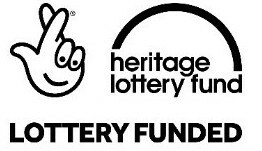 Emma Stenning, Chief Executive for Bristol Old Vic said: “Achieving a transformative grant from the Heritage Lottery Fund back in 2016 was quite the best 250th birthday present that we could receive. Since then, we’ve been working in thrilling partnership with Bristol Archives and the University of Bristol Theatre Collection to make our extraordinary theatre’s history come alive within the walls of Bristol Old Vic. The opportunity to commission local artists and makers to respond to the stories of the theatre’s past has been so exciting. Their resulting work presents a unique heritage experience, which I hope our visitors will enjoy for many years to come”. This project has been made possible by National Lottery players through a £2.4m grant from the Heritage Lottery Fund (HLF). Noises Off - 250 Years of Sound Technology in the Theatre: Visitors interested in the secrets of sound design in theatre will be in for a treat! A gallery corridor in the theatre has been transformed to tell the story of sound at Bristol Old Vic, designed by Joe Ravenhill’s company 2 Feet Below, to explore the way theatre has made sound historically. Through a series of interactive activities, visitors will learn all the tricks of the theatrical trade; from how to project your voice to how sound designers create mood during performances. You can even get a sneak peek at the original 18th-century Thunder Run, an ancient contraption that simulates the sound of thunder above the auditorium and listen to one of the theatre’s most famous voices bring it to life. Aardman exclusive film: The House Is Open! Developed alongside Limbic Cinema, Aardman has crafted an educational and fun-filled short film that highlights the architectural transformations of the building, which will be projection-mapped onto the original 1766 wall of the theatre. The animated video will be played before the start of every evening show to let the audience know that “The House Is Open!” Film to premiere in early NOV 2018. Trials and Triumphs: 250 years of Bristol Old Vic: A timeline illustrated by sign-painter and illustrator Hana Sunny Whaler showcases 250 years of Bristol Old Vic history. It stretches across the entire horseshoe wall of the pit level outside the auditorium, and beautifully showcases the history of this building using archival imagery and material from the Theatre’s past. King Street: From Marsh to Metropolis: A timeline of King Street in a street art style by local artist Bex Glover, and chosen in conjunction with Upfest graffiti festival that tells the story of King Street as place of depravity to a place of celebration. An Audience With the Past: Emily Ketteringham was chosen to deliver the biggest artistic installation in the entire building. What started out as one wall of artistically arranged playbills and posters now stretches across the dress circle, upper circle and gallery levels of the auditorium wall with characters from a wide selection of Bristol Old Vic posters popping in to say hello. A Touch of History: As part of this Heritage Lottery Funded project, the University of Bristol Theatre Collection have digitised over 10,000 archival images, documents and posters, and now thanks to our digital archive interface - the “touch table” - visitors can view these within the theatre itself. Temporary Exhibitions: When you go down to the pit level today, you’re in for a big surprise! 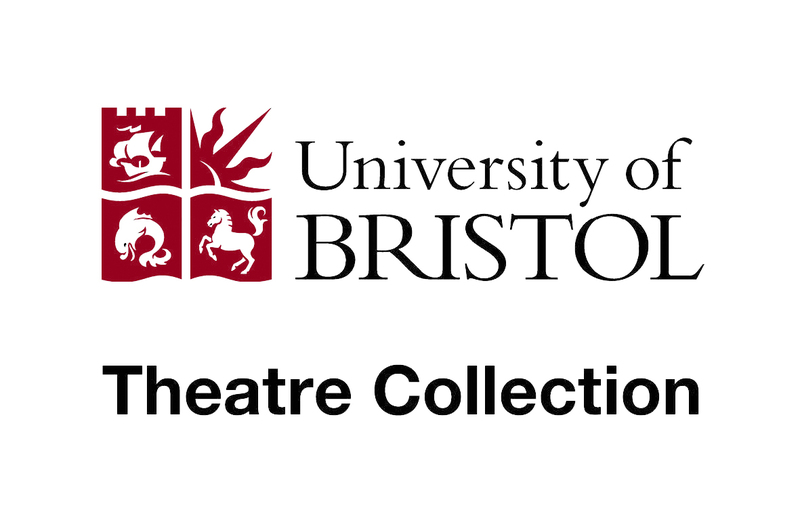 Working with the University of Bristol Theatre Collection and Bristol Archives, we are bringing archival materials on display in the theatre for the very first time! These temporary exhibitions will focus on a variety of themes and topics, and will change every six months to keep you coming back for more! Our first exhibition will focus on the role of the audience in the theatre. Launching early 2019. In support of this Capital Project, we would like to thank National Lottery players and Arts Council England -the development agency for arts and culture, Bristol City Council and Heritage Lottery Fund in helping us to realise our vision for Bristol Old Vic. In addition, we thank the many trusts, foundations, individuals and businesses including The Linbury Trust, Garfield Weston Foundation, John James Bristol Foundation, Foyle Foundation, and The Wolfson Foundation for supporting the creation of a space where people from all over the city can experience amazing art and culture that makes Bristol the place that it is. In addition, thanks to our Project partners, Bristol Archives and University of Bristol Theatre Collection. With thanks to Interpretation Project Manager, Interactive Places. The Theatre Collection is one of the world’s largest archives of British theatre history and Live Art and is an accredited museum and international research facility open to all. Founded in 1951 to serve the first UK university drama department, its collections range from 1572 to the twenty-first century and its visitors include everyone from international scholars to family historians. We enable the Collection to be used for education, research, innovation, enjoyment and inspiration by all those who wish to do so.